We are doing Double Chocolate this month for the Chocolate Party! I don't consider myself much of a baker. Home made cakes were not my forte! Someone had asked me to find a chocolate roulade recipe for them, and when I read the directions, it didn't look that complicated. You be the judge! This cake is very light, delicate and tender. It's a bit fragile to roll, but the results are well worth it! If your cake does break while you roll it, cut it into 4 strips and stack them up with whipped cream in between the layers. Preheat oven to 375 degrees F.,with rack in center position of oven. For the cake: Mix the sugar and water in a saucepan, bring to a boil and cook over medium heat for 2 minutes to make a light syrup. Put the egg yolks in the bowl of a mixer. Slowly pour the hot sugar syrup over the yolks, mixing on high with the whisk. Continue whipping the mixture for about 5 minutes, until fluffy, smooth, and pale yellow in color. Whip the egg white until they hold firm peaks. Add about one third of the whites to the chocolate mixture and mix well with a whisk. Add the remaining whites and fold in with a rubber spatula, mixing just enough to combine the ingredients. Do not overmix. Cut a piece of parchment paper large enough to line a 12 x 16 baking sheet. Butter the paper and coat with flour, shaking off any excess. I used a non-stick spray instead and did have a little trouble with it sticking. Spread the batter in the pan. Bake for about 12 minutes until set and puffy. 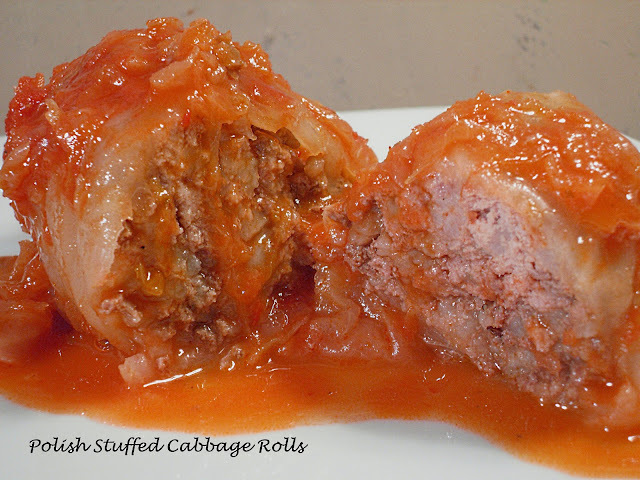 Cool to room temperature; then cover with plastic wrap. For the filling: Whip the cream until it holds a soft peak. Add the confectioner's sugar and vanilla and continue beating until the cream is firm. To roll the cake: Remove the plastic wrap and slide a knife all around the sides to loosen the cake. Spread the whipped cream on the cake. Starting from the long side, roll up the cake, with the parchment paper still on, peeling the paper off a little at a time as you roll the cake. avoid pressing down on the cake as you roll, so that the whipped cream is not squeezed out. Continue rolling and removing the paper, and finish with the seam underneath so that the cake looks smooth on top. Use two large spatulas to slide the cake onto a serving platter. Put the cocoa powder in a sieve and shake it over the cake to coat the top. Refrigerate until ready to serve. This month’s Chocolate Party theme is double chocolate. To join the Chocolate Party, please check out the information over at Roxana’s Home Baking. I haven´t made a roulade in years. It looks wonderful Patti! Oh my goodness! This looks fabulous! Now that was a different way to roll a cake ... I've always used the roll it first, unroll and then fill method. I love chocolate roulade and make it from a recipe in a wonderful (old) Dione Lucas cookbook that my mom gave me. The technique looks difficult and the result is gorgeous, but really it's not hard to do if you're patient. Your step by step directions are great. Although I do it with a clean towel, it's the same process. I was so scared of making roulade until I made my first one just before Christmas. 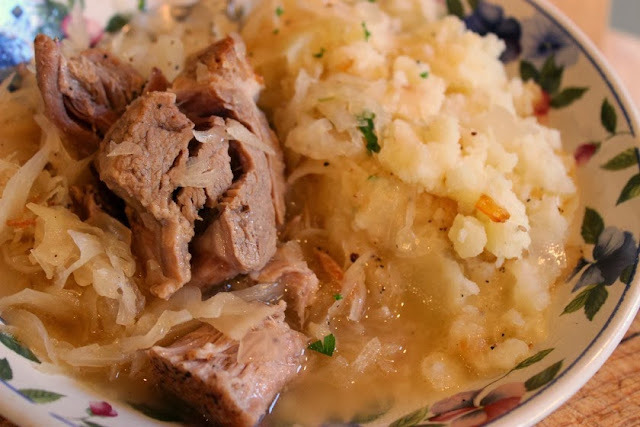 Now I can't wait to try it again and your recipe sounds like a winner. For a self-proclaimed non-baker, your roulade looks amazing! I'm a total baker and I'm too intimidated to make this. 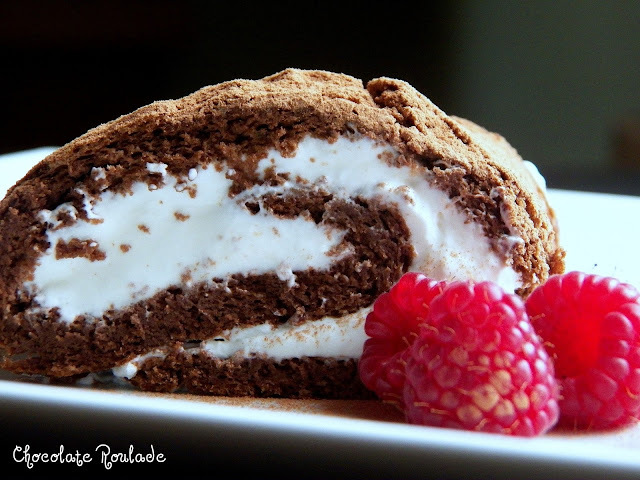 I haven't had a roulade in years - this post is making me want one right now! I'm a big fan of light and delicate cakes. 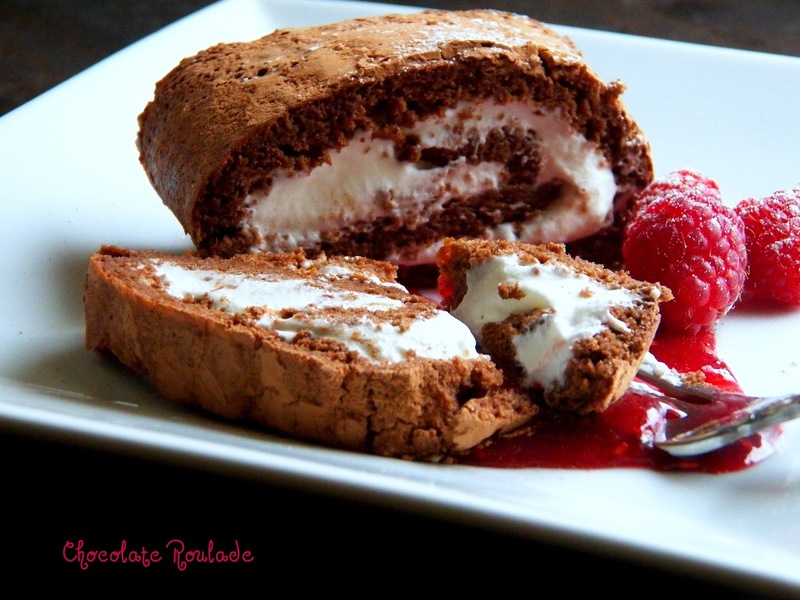 With chocolate and raspberries, your chocolate roulade looks wonderful... Yum!